As you may know, in October of 2012 Jerry and I left our day jobs in order to start Spaceman Labs. Our goal was to leverage our extensive knowledge and category-spanning experience on Apple mobile devices to build apps bursting at the seams with wonder and delight. The time from then to now has been full of learning experiences, many of which we have blogged about. But today we take our first public step towards our stated goal, with the release of Compares. There are plenty of ways to share a photo online, with your friends or perfect strangers. Whether filtered, auto-expiring, or creepily auto-identified, each picture is meant to tell a story larger than just the pixels that make it up. But some stories can only be told with two photos. Before and after. Compare and contrast. Young and old. 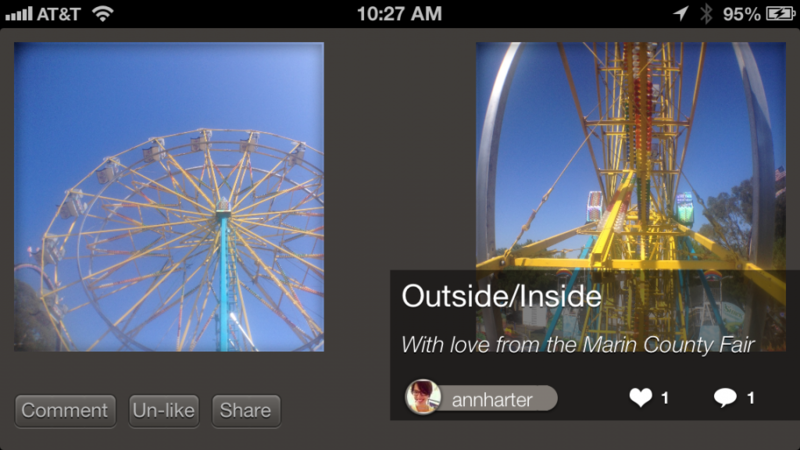 We decided the world needed a photo sharing app perfectly designed specifically for side-by-side shots. From an onion-skinning camera to intelligently linked scaling and panning, Compares is just that. And since these stories are always made to be shared, we built a social infrastructure so you can connect with friends (from Facebook and the rest of life too) to see the compares they’re sharing. We’re even featuring the best of the best so you can find new people to follow. We’ve learned a lot in the process of making this app. We wrote our own backend, wireframed each screen, and controlled every aspect of the app from start to finish. This is exciting, and will spawn many blog posts in the future. But for now, get the app and try it out! You can download it from the App Store. And you can see our (minimal) web client at compar.es. We’d love to hear what you think, which is why we put a “contact us” button in the settings. But if what you think is positive, we’d love even more if you’d rate and review it on the App Store. This entry was posted in Software and tagged iOS, iphone, projects, Software. Bookmark the permalink.